One of the most popular timeframes in binary trading is 60 seconds. With a 1 minute timeframe, you can make a lot of winning trades in an hour, or you can make a lot of losing trades. I gathered some of my most profitable trading strategies for this time frame, and I’m happy to share them with you so you can find yourself on the winning end of a 60 second trade. For each of the strategies outlined below, there are many similarities, however it takes time to learn how to implement each methodology correctly. But once you do perfect them, they are the only 60 seconds binary options strategies that work. In the world of binary, making a profit in 60 seconds is like hunting. You need to wait for the right setup, for the big game to come into your crosshairs. The anticipation builds up, and then you wait and wait until the right moment, the right signal. When it comes you need to immediately place your option by following the 60 second strategy rules. Trigger Happy – If you’re a trader, you’ve got an itchy trigger finger. Its both a blessing and a curse, but there’s no getting around it. It’s what allow us to make bold moves when everybody else is too timid. But, when trading at 60 seconds, being trigger happy is more of a curse. Every time I wasn’t following the strategy’s rules and hit the options before or without the right signal, I lost money. The market is serious business; it’s easy to lose your money if you don’t stick to your strategy. Even if the market eventually turns in your favor, be careful of a mirage. What counts is the sum of all your trades. Hesitation – The opposite side of having an itchy trigger finger is being too slow to act. It happens often after a series of losing trades, at least, that’s how it happened to me. However, a good trader is able to put aside emotions and place the option when the right signal arrives no matter how many previous trades he or she lost. Let’s outline some simple strategies for 60 seconds binary option trading. There are many strategies floating out there on the web. My rule of thumb is you need to figure what makes sense to you and see how it fits into your trading style. In the financial market after hours means when the market releases all the news of the day as the time moves closer to the final hours of the US stock exchange trading cycle. I highly recommend to trade on EURUSD or GBPUSD after hours. Once in awhile you will recognize a 60 minute neutral trend as shown in the graph below. If you need help identifying a trend you can check out my write up on this basic but absolutely essential skill. This methodology is great for earning money using a high/low option. While you wait for the price of the underlying asset bounce off the support or resistance line, mark a third line in between the two boundaries. Once the price hits the middle like you marked, you can place your boundary option trade. Chances are you’ll get a price range that is in between the resistance and support line. Now, you should always remember to treat your trading file as a real business and like every good business that makes money there are some costs, so you need to remember that you will experience a break out from one of the lines so you should accept this fact as part of business costs – this is super important and it’s the key to become a successful binary option trader. You should also remember to treat trading as a real business. Like every good business that makes money, there are also some costs along the way. You need to remember that you will experience a break from the support or resistance lines from time to time. Don’t get frazzled. Chalk it up as the cost of doing business. This concept is super important and one of the keys to becoming a successful binary options trader. 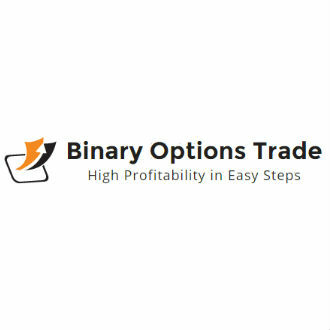 If you feel comfortable enough with binary options trading, and you control the broker’s platform you can try this phenomenal strategy which I use on occasion. The 60 seconds event strategy is made for experienced traders. It is most recommend to use on Ladder options. If you need an explanation on what are Ladders options, click here. As the world turns things happen. It can be a major announcement on interest rates, or a natural disaster. Each event that happens influences the financial markets such as currencies or assets. Most events that happen affect EURUSD, some affect oil prices. You should figure what events are likely to influence which assets. As for the setup, the asset price needs to present a neutral trend that is narrowing down. Now let’s say an event announcement occurs at 10:30 EST and you recognize a setup, using a ladder option, place your option for the furthest rung available. Most brokers provide a great return on the 5th rung of the ladder option; it can be 300% or even reach up to 1000%. If you act on accurate market analysis, one winning trade can be worth few times more than a losing one. As I mentioned before, this strategy is for advanced traders only. It takes time to adjust, but when you do, it’s a wonderful way to earn money on ladder binary options. If you are looking for a great event calendar, here is a link to my favorite calendar at Forexfactory. I hope you enjoyed my binary options 60 second trading strategy round up. One of the most popular timeframes in binary trading is 60 seconds. With a 1 minute timeframe, you can make a lot of winning trades in an hour, or you can make a lot of losing trades. I gathered some of my most profitable trading strategies for this time frame, and I’m happy to share them with you so you can find yourself on the winning end of a 60 second trade. Amazing piece of content Albert, 60 secs option can be a great opportunity for making multiple trading and winning tons of money but it can cause you also big lost if you don’t control your temperament. Why most of you keep losing to your broker accounts is because you don’t make use of any strategy in trading binary. No broker account would want you to make profit while they are losing.I have been trading for over two years now,and I have never been happier in my entire life.In binary/forex trading I have been able to find an amazing strategy,that has been able to lift my trades accurately giving me wins of about $10000 weekly.My one to one masterclass system,with enough proof to show you,would save you years of time and funds wasting if only you are prepared to learn.I’m giving this for free.